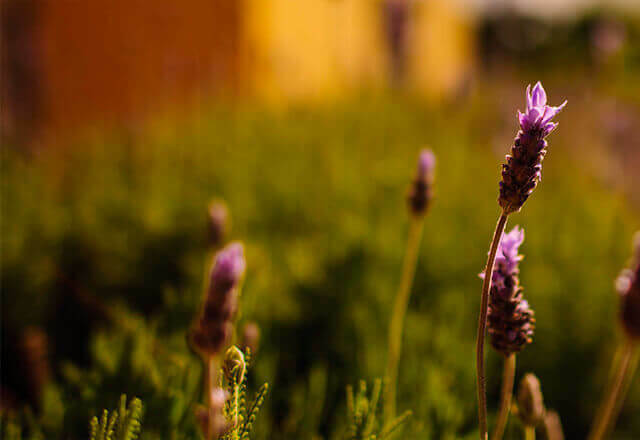 Nourish hands and lips naturally. 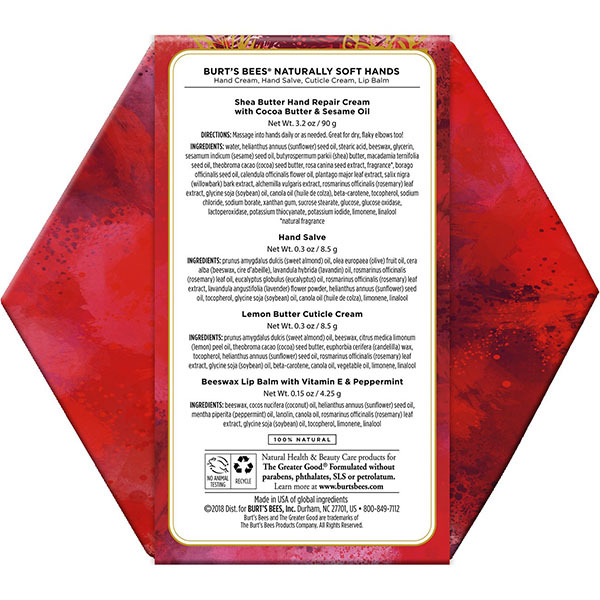 Burt's Bees® Naturally Soft Hands Holiday Gift Set is filled with four fan favorite products to nourish and pamper hands and lips naturally. Lemon Butter Cuticle Cream is specially formulated with sweet almond oil, cocoa butter, vitamin E and sunflower oil to nourish and hydrate brittle nails and cuticles. The must have 100% natural moisturizing Beeswax Lip Balm is loaded with Beeswax and antioxidant Vitamin E to moisturize your kissable lips with a touch of tingly peppermint flavor. 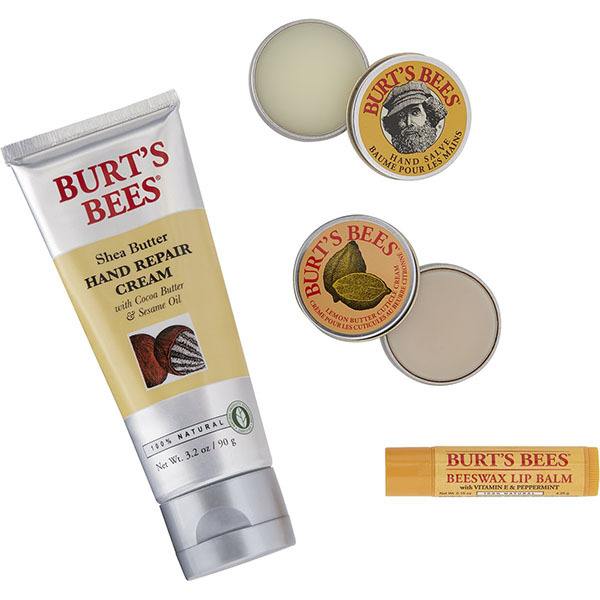 Hand Repair Cream is enriched with a blend of the finest extracts and vitamin E to revitalize your hands. Lastly, the Hand Salve provides sweet relief to super dry hands with the soothing affects of botanical oils, herbs and Beeswax. The ultimate in moisture therapy, this trio will nourish and get your hands and lips ready for the holiday season. 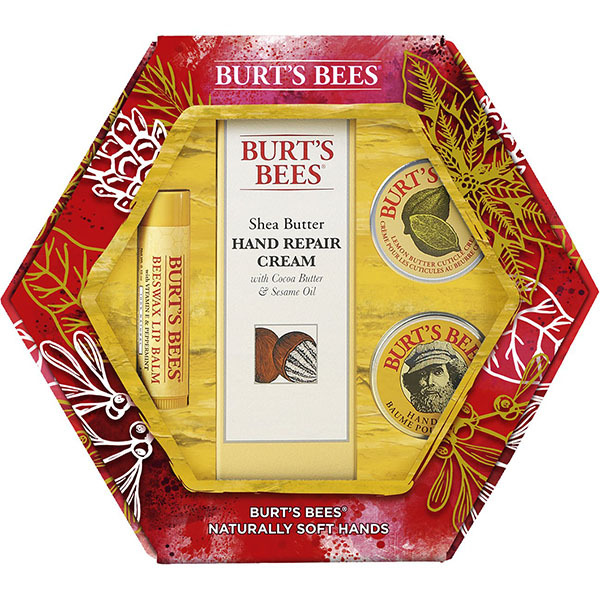 Perfect as a stocking stuffer, this holiday gift set comes in an attractive Burt's Bees® signature gift box to make your holiday gifting easy.